Do people blog just for fun or do they actually earn from their blogs? These are some of the questions that new bloggers ask every day. It’s a fact that there are many blogs that are just there for fun. However, there are also many other blogs that earn millions. You don’t really need to blog for fun nowadays. We have social media for that. You can wake up and post whatever you want on Facebook, Twitter or any other social channel you have. If you want to join the crop of internet entrepreneurs who earn lots of cash through their blogs, you can follow the steps highlighted below. Get a few great blogs that you’ll be getting inspiration from. See how they monetize and what they do to appeal to their target market. 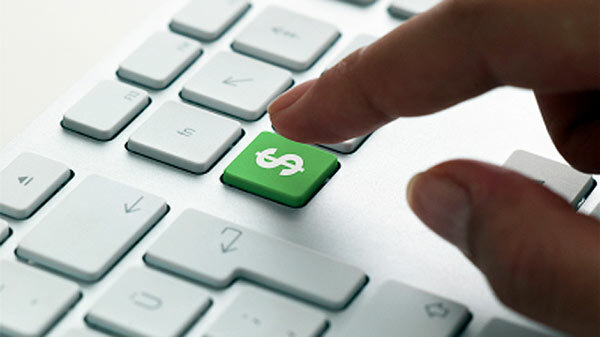 Have a winning monetization strategy. It’s advisable to sell a product or a service. Make sure your content is always interesting and persuasive. Keep it current and fresh. Also, post consistently to improve your brand. Market heavily through the available internet marketing strategies. This way your phenomenal content will always captivate your target audience. One of the best ways to market online is through email marketing. Social media platforms come and go. Search engines keep changing their algorithms. Ads can get expensive sometimes. However, email marketing ensures that people always get a personal message whenever you want to update them on something. People will not just give you their email addresses. They are way too busy and have so many things on their mind to notice a simple form asking for their names and emails. However, people love gifts. If you give them a useful gift, they’ll be happy to subscribe to your mailing list. These gifts are what we call lead magnets. Once people subscribe to your mailing list, they’ll receive their promised gift. This will act as a first step in building trust. It’s great to see the numbers up. You are now getting traffic and people are flowing into your mailing lists. You want to keep them glued to your content so that you can make a sale. But first, you need to continue building trust. Send them useful emails that will help them with what they’re going through. Make them feel happy they joined your mailing list. The aim of doing this is to gain their trust. Let your leads see you as an authority; a really useful resource to help them in their situations. Offer your product to your warm leads. These are the people who already love your content and have taken actions that qualify them to be probable buyers. This starts from when they visited your blog. Your blog will have many visitors, but only a few will subscribe. Many of those subscribers will read your first email, but maybe fewer will read the rest. Fewer will click on specific links e.g. a link to download your eBook. All these actions will show you who has warmed up to you. These have higher chances of buying from you and will not see your offer as a bother. With marketing automation, you can automatically nurture and score your leads so that only the right emails get sent to the right prospects. Every stage of creating a profitable blog has some work involved in it. Don’t let anyone lie to you that you’ll laze around and keep seeing the dollars flowing in. Even top bloggers keep working consistently to improve their blogs and their sales strategy. When well done, blogging can turn out to be a fun and effective semi-passive way of making money online.